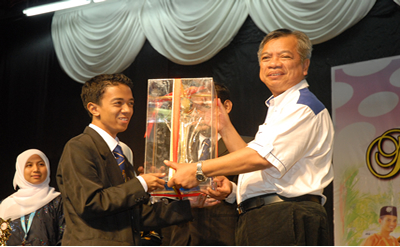 Bangi 7 July 2010 –Kolej Ibrahim Yaakub debating team emerged the winner for the Vice Chancellor Debating Trophy beating Kolej Tun Hussien Onn team at the final held here on Wednesday night. 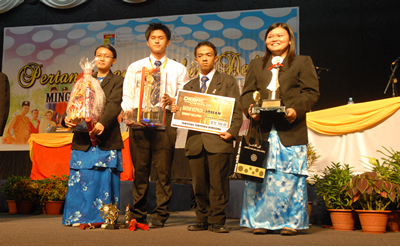 They were debating on ‘Social websites – made students complacent’ with the winners speaking for the subject and the Kolej Tun Hussein Onn team opposing. 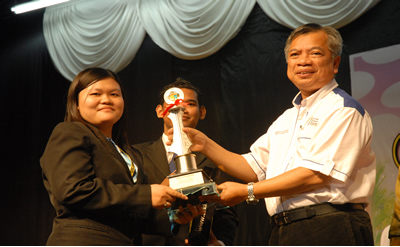 Sonia Hii, a student from Kolej Ibrahim Yaakub was adjudged the best debater. The debate dealt with the preoccupation of today’s youth with social networking websites like Facebook and other similar social sites on the internet. The debate was organised by the university as part of its programme to welcome the newly registered students and to get them accustomed to campus life. All the 12 residential colleges took part in the two-day event.